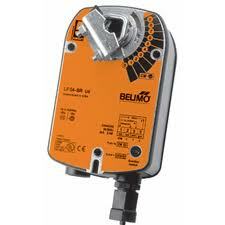 NECC carries the complete line of Belimo valves, actuators, controls and accessories. 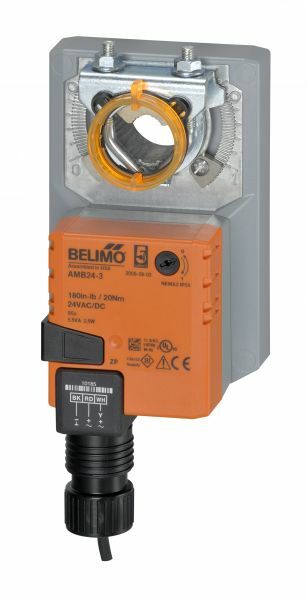 Belimo's Non-Spring Return Direct Coupled Actuators are available in a complete variety of torques and control signals. The direction of stroke and return is selectable: CW and CCW with manual override. The SR and MFT models all have 2-10Vdc feedback. One or two SPDT auxiliary switches can be ordered built-in or snapped on later. MFT (Multi function technology) signals can be configured to meet your individual job specifications. They have adjustable start and span: Start-0.5 to 30Vdc; Span-2.5 to 32Vdc. 24Vac/dc models are shown. Other models are available in 100-240V power. 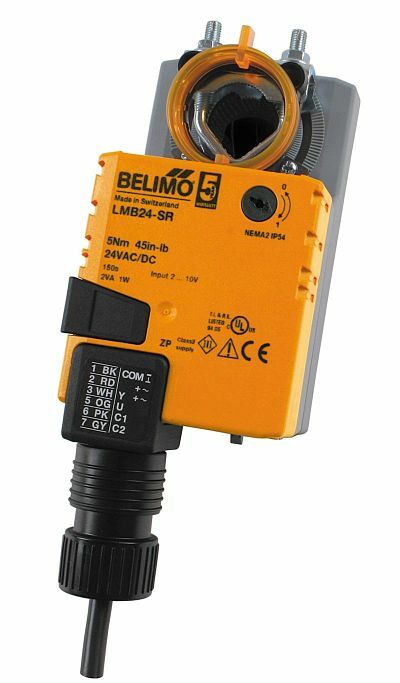 Belimo's Spring Return Direct Coupled Actuators are available in a complete variety of torques and control signals. They are reversible CW and CCW with manual override. 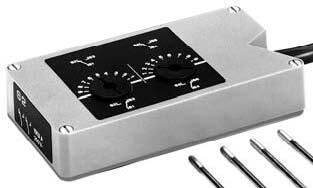 The SR and MFT models all have 2-10Vdc feedback. 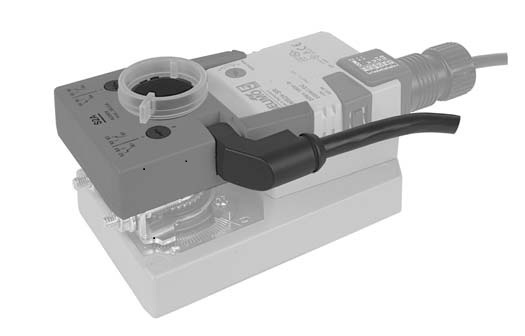 One or two SPDT auxiliary switches can be ordered built-in or snapped on later. 24Vac/dc models are shown. For 120 or 240V, just replace the "24" in the model # with the voltage you want. Used to indicate when a desired damper position is reached or to interface controls for a specific sequence. 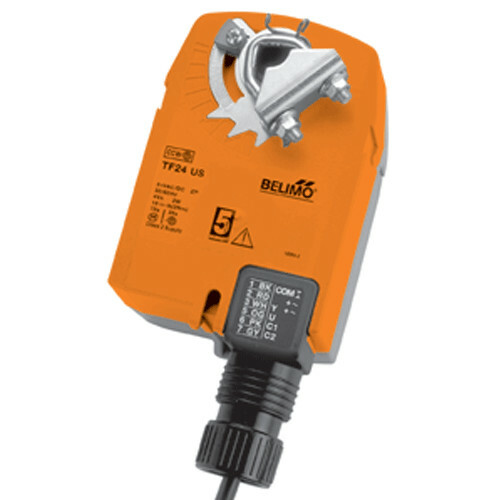 Designed to change non-standard voltage or current into a 2–10Vdc output. 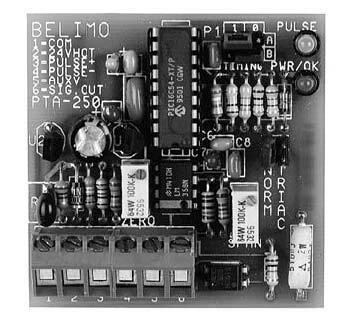 The module is jumper selectable to accept either voltage or current applications. 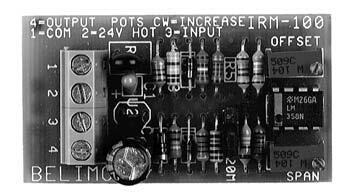 Converts a single pulse-width modulated input to an analog output. Four input clock rates are jumper selectable. 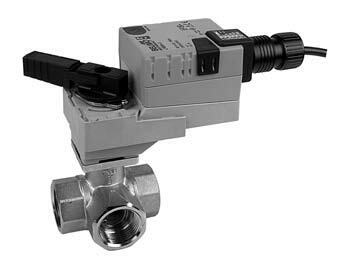 Select the Ball Valve you want from the chart above and then pick the actuator that suits your control application. Built-in auxiliary switches available on request.